If Temporary Cookies are disabled in your copy of IE 6+, there are three methods available to enable them for SearchPDF. 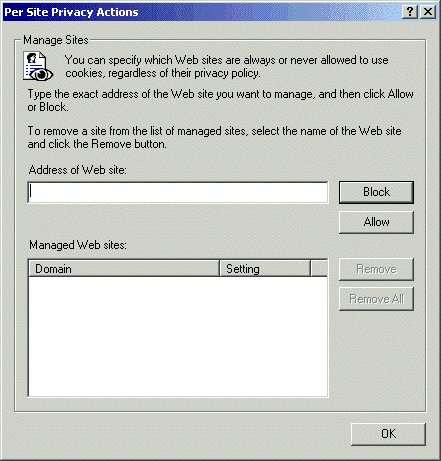 All methods are available from the Privacy Tab of Internet Options. When using Default Settings, a sliding bar is displayed on the left side of the screen. 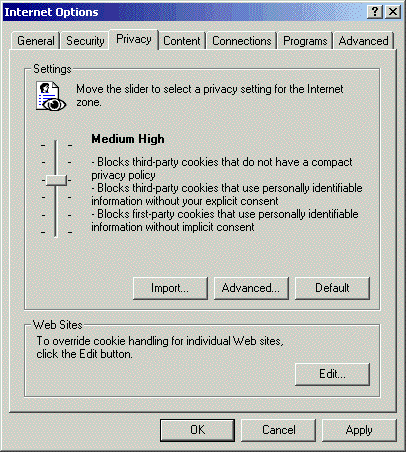 The Medium-High setting allows temporary Session Cookies to be used with SearchPDF. 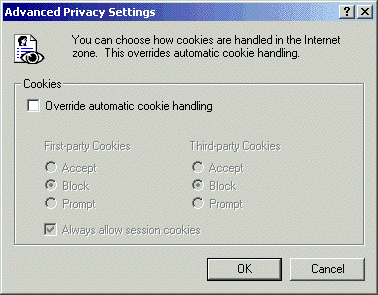 If you check the box for "Override automatic cookie handling", then the Advanced options become enabled. 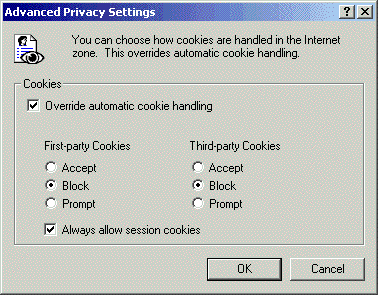 You should then check the box "Always allow session cookies" to enable session cookies for SearchPDF (and everywhere else that temporary cookies are used). 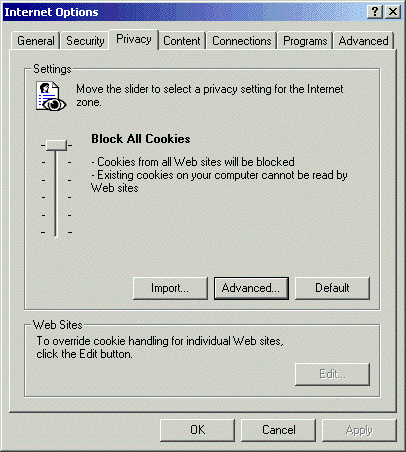 The options for First-party Cookies and Third-party Cookies do not apply to SearchPDF.